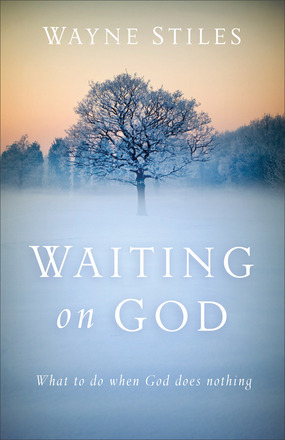 Waiting on God: What to Do When God Does Nothing is a highly recommended combination Bible Study on the life of Joseph with anecdotal personal insights and applications by Wayne Stiles. Sometimes God seems silent or absent in our lives and going to the Bible to study and consider the life of Joseph presents a perfect example of waiting on God for years. We can be confused as to why God hasn't answered our prayers, but God's answer often requires a more active role from us rather than just waiting for our circumstances to change. Stiles points out that God may be waiting for us to change - and our circumstances may even worsen while He patiently waits for us to make those changes. We need patience too. Patience is the art of waiting well. Hard times and difficulties are normal. God's people were never promised a trouble free life and Joseph's life is a perfect example to consider. God does make promises to believers, but there are lessons we may need to learn in the in-between time of waiting. God never said we wouldn't have troubles. In fact, we should expect trouble and difficulties (1 Thess. 3:3–4; 1 John 3:13; 1 Peter 4:12) as a normal part of our lives... along with waiting. Here Stiles goes through the life of Joseph and considers his life (as well as the lives of his family) in comparison to things and circumstances we might go through today. Stiles uses many personal examples to make the story more pertinent to lives today and help readers see how Joseph's story is applicable to their lives, their personal stories. This isn't really a devotional or a Bible study, per se, but a study of one story and how it can be interpreted to encourage, help, and challenge us in our Christian walk today. Disclosure: My Kindle edition was courtesy of Baker Books for review purposes.